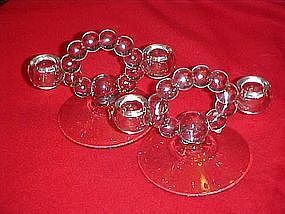 Pretty double light candle holders in the candlewick pattern by Imperial Glass Company. They are being sold as a pair. They measure 5" tall and have a 7" span. They are in perfect condition.